My name is Ben Lochmann, I’m the CEO at Benjamin Lochmann New Media GmbH, a German game developer, now better known under the brand “Pixel Maniacs”. I thought I’d take the time to write down our story – a successful app developer giving up its business because of falling in love with the desktop gaming industry. The whole story began during a train ride with no internet. I was bored and decided to play around with my new Macbook Air. The only cool thing I found was an Xcode documentation. I managed to “code” (it was more copy & paste) an app together called “Mäxchen mit Fake Button”. 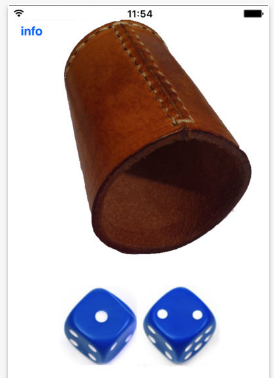 “Mäxchen” is a popular German drinking game, somewhat similar to Liar’s Dice. The app had a “fake” button hidden in the top left corner, which would make players aware of it win every round they’d like to. This first app went live on Feb 14, 2011. It sold quite well for the effort I had invested into it. At that time, my main job was doing arbitrage performance marketing campaigns, which is a complicated way of saying that I searched for well performing affiliate offers that were paid per lead or sale, and booked ads on Facebook and other portals on a pay per click basis, to promote them. Two weeks after my first app went live, I invested that money into employing our first dedicated dev to build apps, Johann (https://twitter.com/zumJohann). 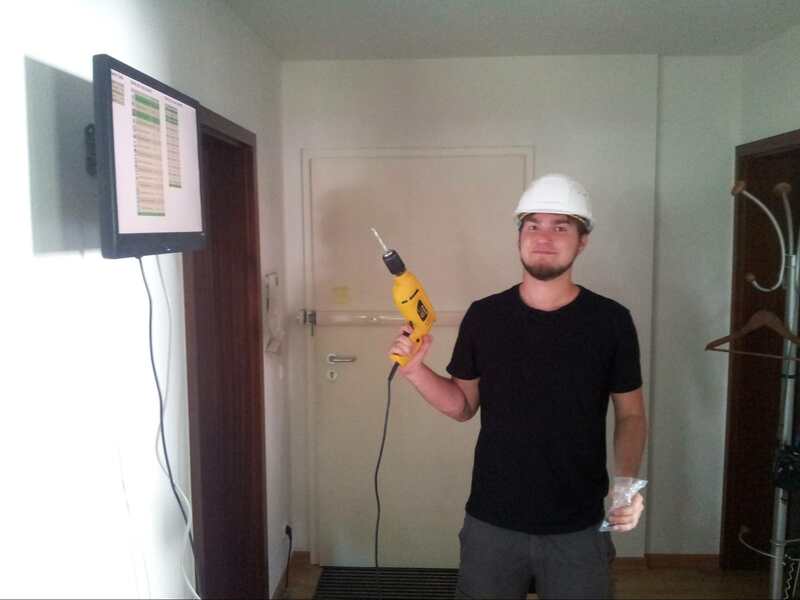 We had no office at that time and started building apps at my place. This, of course, made little sense after more than two employees, so we moved to into our first office. Back in 2011, you had great visibility on the App store without a lot of effort, since there were “new” sections and only very few apps. Over the years, getting free visibility was getting harder and harder, so we started using our performance marketing knowledge from investing in ad campaigns, for our apps. The campaigns were always focused on one type of device (iPhone or iPad) and one specific geo. The reason for this was that the main goal of a burst campaign is to send significant numbers of downloads to an app, to have it rocket up either the Google Play or Apple’s AppStore charts. As you can’t afford to get into the top charts of every store (if you’re not Supercell or something), you need to concentrate your budget on a specific store. The iPhone and iPad rankings were different, which is why it would not have made sense to mix them. In addition to those paid campaigns, we added a cross-promotion ad into all the apps we had launched so far – which is still quite helpful as, we can exchange marketing power with other app developers, , on a day-to-day basis. The AppStore’s algorithm was quite quick to give feedback to this method: When investing ~$1,000 per hour, you could sit in front of the charts and wait for the next 3 hour-update, to see how it reacts. After a couple of campaigns, we got a good sense of whether a campaign would flop and were able to stop it asap, to not lose too much money. Sometimes, you could even reduce the marketing budget as you could tell an app was going to rock the charts, without any further investment. Google Play was much more tricky. Contrary to the Apple AppStore, they have a section called “Top New”, were you can only get ranked in the first 30 days after your launch. If you reached a decent Top New position within the first week, you usually kept rising in the Top New section, until the end of the 30 day period, which gets you to Top Overall. The problem here was that you should invest all of your marketing budget on the first day of the launch. You can’t wait 1-2 weeks until you get the first retention KPIs, as you’d be losing valuable “Top new” visibility during this time. We tried to reduce the risk of investing heavily (“Heavily” in our dimension means $10,000 - $20,000 in the first 24h our the launch.) on an app which had a bad retention rate, by launching on iOS first, since there’s no Top New there. If the retention on iOS was high, it usually was high on Android as well, and we knew we were able to market the app properly. Another difficulty on Google Play was, that the chart algo only updated the rankings once per day. This meant we couldn’t adjust our campaign spendings during the 24-hour campaign, in accordance with the rankings – as one would do on Apple’s AppStore. With these technique, we reached several #1 Top Overall positions in many countries, and got more than 25M downloads on the AppStore and 21M Downloads on Google Play. We tried to reduce the risk of an app’s failure, well before we created it, by booking ads for the non-existing app, and sending the traffic to a landing page, which indicated if users clicking on the ad, would actually download the app (if it had existed). 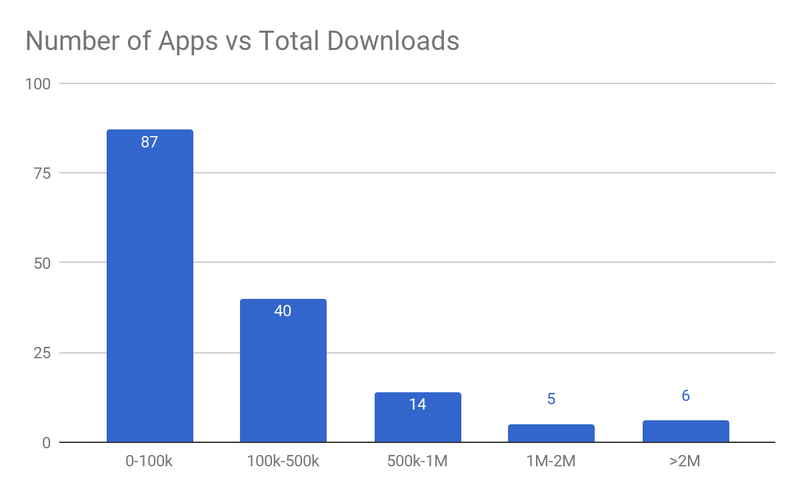 Apps with 0-100k downloads usually were flops, 57% of our 152 apps did not exceed that mark, which is a fail-ratio we could live with. In April 2015, my collegue Andi had the idea to participate in a game jam called “Ludum Dare” – where teams around the world create a game around a specific theme within 72h. I honestly had never heard of game jams before (shame on me, I know), and was quite sceptical. We participated, just for fun. The whole team met at the office on that weekend, many installed Unity the first time, and tried to build a game that matched the theme: “An unconventional weapon”. We had so much fun that weekend, building an actual game, unique design and all, that we made the obvious decision to finish the project and launch it on mobile. The first Ludum Dare version was built as a WebGL prototype, and received great feedback from the other participants, so we were quite confident about the launch. It completely ran into the ground on mobile. When I say completely, I really mean completely, in the most literal sense of the word. We got around 100 downloads – nothing that would justify the months of work we invested into our biggest project so far. Being distraught that this – in our opinion – really cool game had no chance of becoming anywhere near profitable on mobile, even though it had received such great feedback from players, and various media outlets, somebody from the team brought up the idea “why not launch it on Steam?”. It sounded like a fantastic plan. Obviously, the game’s issue was the platform, and the controls, so making it a PC game would solve all our problems. A few clicks here, some minor adjustments there, and we would get tons of sales from Steam’s gigantic user base. On Feb 16, 2016 we launched ChromaGun as our very first game on Steam. It was awesome having your first own “real” game out, and strangely, it was a much bigger achievement for us, than all our #1 overall positions on mobile before, with more marketing-driven projects. Of course, it had no chance to bring in enough revenue to finance the 10 months of development we had already invested into the project. We did absolutely no pre-launch marketing – simply because we didn’t know we should – so I started promoting the game as I did it before with the affiliate programs and the apps, on a performance basis. This was quite difficult, as there’s no Facebook SDK to measures installs of your game, as you’d do on mobile. As a performance driven company, we never invested a penny into marketing without knowing (or calculating) what we would get back from this cent. So we built a small workaround, sending clicks through our own ad server, and adding a small HTTP call into the game, which made it possible for us to match (within a margin of error) if a client had installed the game after seeing one of our ads. I treated promoting a desktop game the same as promoting any other product online. If you know the bare minimum about video game marketing, it won’t be a surprise, when I say those campaigns were among the worst performing campaigns I ever witnessed in my entire performance-marketing-career. It was time to find out why. Getting a potential customer to download your free app, with a well-optimized app title and app icon was no big deal – Getting them to consider investing $15 of their well-earned money however, was. See an ad, either on Facebook or any store chart. Test, and see if they like it. Waiting for a sale, and then buy it. No chance for my fancy conversion tracking script to measure anything useful here after a user clicks on an ad.It took us (especially me) some time to realize that we needed to radically change the way we promote our games. For years, we didn’t even have a brand. The apps were simply published under my name “Benjamin Lochmann”, as nobody really cares about this on mobile, if you are offering rather small, casual games that aren’t very deep in content. Finding our brand took several weeks. We collected ideas, rated them internally, and checked the legal side of the best ones. We then tried to increase our brand’s visibility by being active on social media. None of us had used Twitter actively, or knew what Twitch was at that time. For me, as a KPI-loving CEO, it was really hard to evaluate if investing hours of work – and therefore thousands of Euros – in posting stuff on social media, really made sense in the long run, as it is really hard to measure this. Game Jam #2 – Bye, Bye, Apps! In April 2016, one year after our first game jam, we were still building a few new apps. At this point, it was quite clear that it was not going to be possible for the entire team to be working on building profitable desktop games. We still sent out tons of free ChromaGun keys to influencers around the world, as it seemed to be profitable for us to do so. However, we made the decision to participate – just for fun – in another Ludum Dare. As I wasn’t keen on investing another 8+ months into the development of a game that wouldn’t bring in any revenue, I clearly communicated we wouldn’t invest more than that weekend into the development of the game jam game. 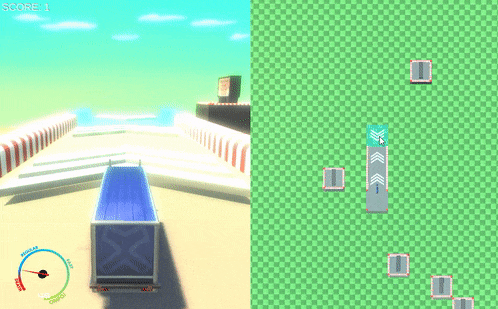 The topic this time was “Shapeshift”, and our idea was to build a racing game were one player drives, while the other one builds the track, at the same time. We really liked the game, so we thought we’d put it on Greenlight (that was still a thing, remember? ), and just release it the way it was. Then something happened, that would change our future forever: Kotaku liked the game, published an article about it, and rocketed us to #1 on Greenlight within a few days. We passed greenlight in a week, and had a steam page even before Ludum Dare voting ended. We even got to the front page on Reddit with a post receiving more than 25k upvotes. Needless to say, I took back my decision to not complete the game.. The overwhelming feedback and our feeling that this project might become much bigger than ChromaGun brought us to the fateful decision of giving up our successful app business, and completely focusing on the development of games for PC and consoles. For us, developing apps was a completely different experience to developing a desktop game. As our apps where rather small (that’s why this cannot be generalized) we were able to create several apps simultaneously, and separate the workflows. For example, I thought of a concept, gave that to Steve, who in turn made a mockup and a design. This was given to Andi, our Android developer, who built the product. This product was brought to iOS in a similar way, but in native iOS code instead. Building larger games was a whole new thing for us: We had to learn Unity, and – much harder – learn how to work together as a team. Communication is key, and empathy for your coworkers’ jobs is also a very important factor. We implemented weekly meetings, we talk a lot during work, so that everybody knows what the others are doing (at least roughly) at all times..
My work as a CEO has also changed a lot. Being in a rather tough situation, compared to the years before, we of course need to take care of our costs and efficiency. Marketing, public relations, community management, and all other aspects of outreach work have become a large part of our work. 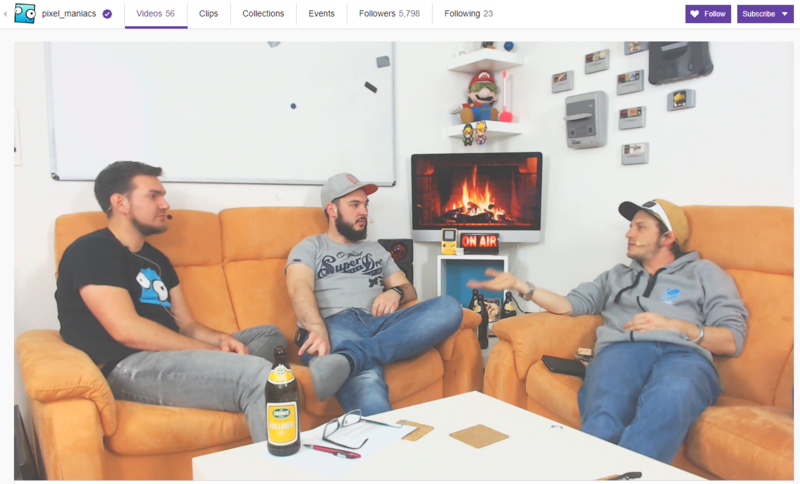 We are live on Twitch every Thursday to talk about various gaming-related topics, with a guest from the German Games industry. Twitch has been very supportive, by giving our channel the partner status and placing us on their start page every week. We regularly participate in 48-72h game jams, which we live-stream for (almost) the entire duration. In one of the latest game jams, we created King of the Pit, a Twitch game streamers can use to raffle prizes to their viewers. Guests can type “!dance” into the chat to join a virtual mosh pit. Players start moshing, and the last player standing wins. We use this for promoting our brand and games as the tool posts ads into the streamer’s chat. We also constantly post content on Twitter, Instagram, Facebook, Reddit, Imgur, etc., and try to be as transparent as possible. Meeting people who like what we do, and are interested in the products we make, is definitely one of the major reasons why we won’t stop making games. We are currently a team of 7 full-time employees and 2 interns. We’ve learned r markets besides the PC-market can be quite important for indies like us. Last August, we launched ChromaGun on Xbox and PS4. The game is currently getting its last two ports: A Nintendo Switch version, which will be going live on Jan 22, and a PSVR version which is going to launch in Q1 2018. ChromaGun is sort of a guinea pig project for us, which we use to test new markets and to get to know the process of launching a game. It also is kind of a door-opener to influencers and publishers around the world, as it seems to make a difference if you have already shipped a game or not. Our main project at the moment, Can’t Drive This, has been in Early Access since September 2016. 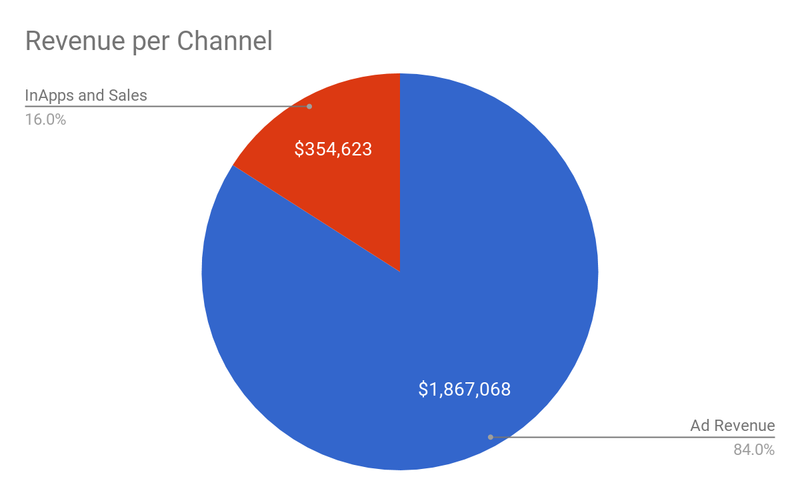 Despite huge coverage from Markiplier, Kotaku, Giant Bomb, Rooster Teeth, BasicallyIDoWrk, PietSmiet, Rocket Beans and many more, the project still is not profitable. It is, however, gathering much more revenue than the PC version of ChromaGun. We see a decent potential in the full version of the game, and the ports for Nintendo Switch, PS4 and Xbox One. Our total PC/console-revenue is steadily rising, the app revenue steadily declining. In total, we’re not profitable at the moment, and are financed in part by a funding we received from the Bavarian Film Funding FFF, which also supports gaming projects in Bavaria. We also have saved some money for financially bad times. The whole team has financially stepped back. I, the CEO of the company, haven’t gotten any pay at all since July 2016, as I’m holding the company and am speculating on a future success of a title. We need our next projects Can’t Drive This and Escape the Loop to be a success. Can’t Drive This is completely pre-funded by us and the Bavarian Film Funding, so is a prototype of Escape the Loop. 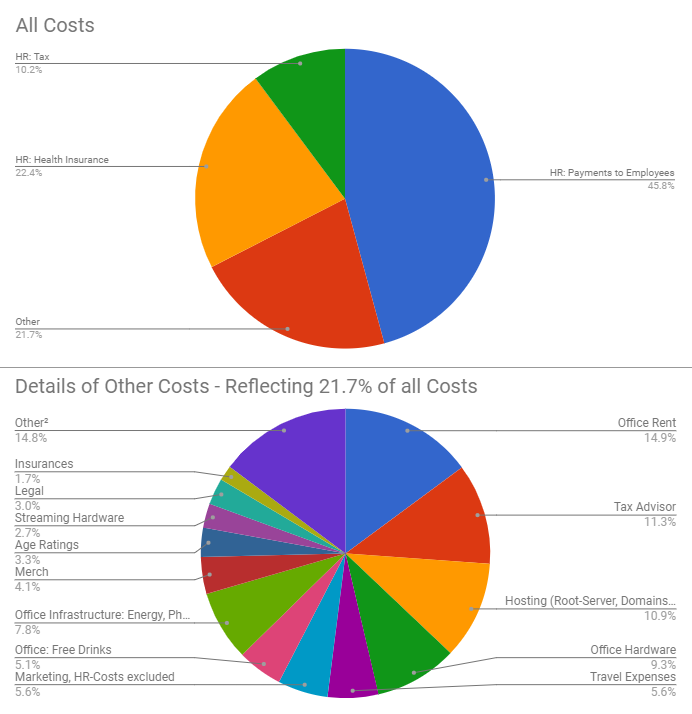 We are keeping an eye on our costs, and try to constantly improve our cost-income-ratio. However, as our spendings are mainly HR, there isn’t a lot to optimize at the moment. We are currently facing a number of risks that might stop our dream of building a profitable gamedev business. As we still have more than 100 apps online, which are bringing in some revenue, we have a lot of work to do to update those – even if we aren’t adding any new features. iOS 11 is a real pain in the tuchus, as we had to update all our iOS apps to 64 bit. If an app doesn’t make enough revenue, we’ll even remove it from the store entirely. The huge coverage we had for the Early Access version of Can’t Drive This is great, but also has a big downside: If the full version of the game is not significantly different from the EA version, it is not going to get any additional coverage. Also, time forecasts in software development can be, well, sometimes a bit imprecise. In our financial situation, this is not a good thing, which is why we are working with big buffers. Here’s hoping they are big enough. 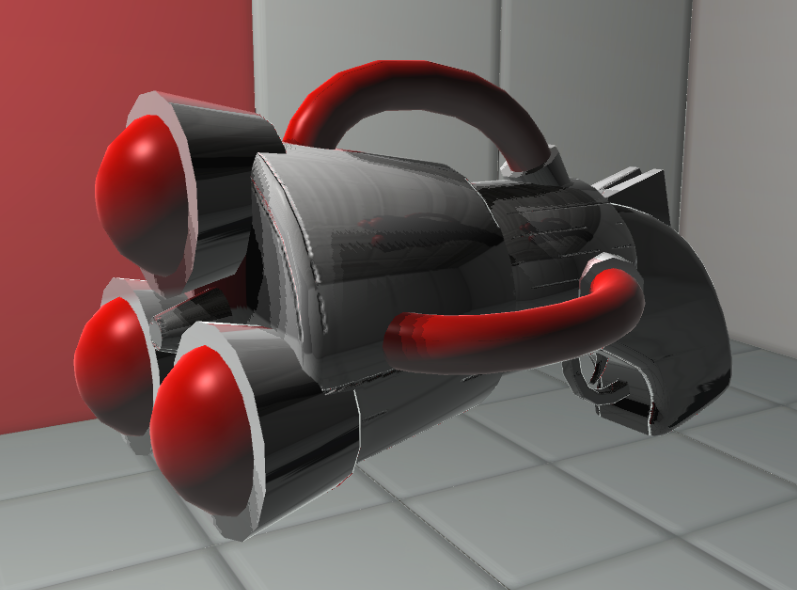 Our second “open” project, Escape the Loop is pre-funded, but only a prototype of it. This is clearly not going to have the full financial potential the project has. We have the feeling that our industry network is getting better by the day. Also, our launches seem to be performing better every time. The revenue from consoles has made a significant change to our plans, as consoles seem to be easier for us to generate revenue on. We have the feeling that the more games we produce, the easier it will become to receive coverage from different sources. Gamers, streamers, Let’s Player, magazines, podcasts, even TV and radio shows are in contact with us and want to know how it’s going with the development of our games. All in all, we believe in our dream and we think we’ll manage to successfully develop games for PC & consoles without going broke in the process. Y U No Take Publisher? We have received several offers from publishers in the past years, and are looking at what they are doing and which one might fit for us. However, currently we’d like to stay independent as long as possible, as we truly love being so in touch with all parts of the gaming industry.. Being active on social media, doing live-streams of our work, and getting feedback from gamers, the press and other devs around the world, is incredibly rewarding. The only reason we aren’t streaming 24/7 is we can’t afford to do that at the moment. If we had a publisher, those tasks would fall into their hands. As they wouldn’t receive 100% of the game’s revenue, their marketing efforts would have to be more efficient than our own. If it weren’t, the financially logical consequence would be to stop those efforts. Additionally, even if their marketing spendings were profitable, they might not be as profitable, or riskier, than investing the money into another project they are publishing. This means, we can theoretically afford being worse at publishing games than a potential publisher, with the added bonus that the more publishing work we do, the more efficient every subsequent game of ours will be. The gamedev industry has truly become part of our lives, we have found a lot of friends on all sides of the business, and none of us want to miss any of that. Thank you very much for taking the time to read this. I hope these insights help some of you make informed decisions, if you’re in the same position that we were in, a few years ago. If you have any questions, or feedback, don’t hesitate – we’re always grateful.